Anyone that has had to face a moisture problem with a concrete slab understands the damage that excess moisture can cause. Moisture in concrete can occur from a variety of sources: ground moisture that contacts the slab through either capillary action or as water vapor, high air humidity or drastic changes in relative humidity in its environment, leaking plumbing that passes through the slab, and more. Excess moisture can cause pH changes in concrete that adversely affect adhesives. Even an excess of moisture that was retained from the original concrete mixture will cause problems if the slab was sealed prematurely. It should be obvious – concrete starts wet. The water added to the cement, sand and aggregate mixture is necessary to form a good bond in the concrete, but it is also necessary that the moisture evaporates away from the concrete in order to let the concrete dry and to prevent flooring failures. Adding more water may make concrete more workable but it also means the drying time can increase to unreasonable levels as the rate of evaporation is dependent on a number of variables. While moisture can be added to the slab through a number of different sources, it can only evaporate away via the slab’s surface. It often can’t escape the slab without remediating treatment. Simply put, a concrete slab in contact with moisture cannot be brought to constant “dry” conditions. Something has to stop the migration of moisture into the slab. The preventative measure most often used to try to circumvent these contact moisture-related challenges is to install a vapor barrier. But what type and where it should be installed has been a subject of much debate. Some feel that vapor barriers contribute to curling in the slab and that simply casting on a granular slab should be sufficient. Others feel a vapor barrier is a critical element to protecting from flooring or adhesive failures, and even some environmental issues, as vapor barriers can prevent moisture-related mold and mildew growth or even block certain gasses that can pose a health risk if they accumulate in a home or business. Technically, any material that resists moisture passage is a vapor barrier, a term often used interchangeably with a vapor retarder. But very few are true barriers as they still have a low level of permeance, or the ability to let water vapor pass through. This is often expressed as “perms” that allow for categories of permeability. The degree of permeability that is acceptable may depend on the application – for example, a water vapor permeance less than 0.3 perms is generally recommended but for residential use, a higher permeance rate is considered acceptable. 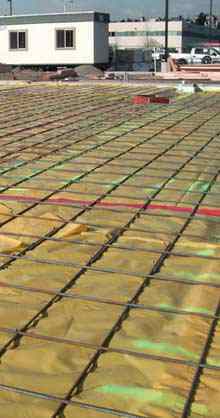 What seems to be crucial is that the vapor barrier or retarder under the slab must have a lower degree of permeance than the flooring or floor covering above the slab. Otherwise, the potential for a moisture imbalance can still cause flooring failures over time. ASTM International gives specific guidelines in ASTM E1745-09 and ASTM E1643 for the use, installation, and inspection of vapor barriers used under concrete slabs. It must be noted that this practice, though, causes slower drying times because moisture cannot leave a drying slab through an impermeable sub-layer. With the vapor barrier directly under the slab, moisture then has to move to the surface of the slab and evaporate from there. Placing the vapor barrier under the granular layer let contractors float the concrete sooner and appeared to dry the concrete more quickly because the base accepted some of the water from the original concrete mixture (and, some argue, create more potential for water reserves that could then absorb back into the slab to create adverse conditions). 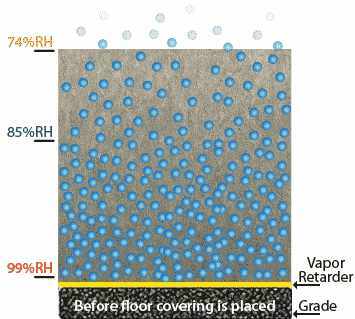 Because there are pros and cons to both situations, accurate relative humidity testing is also necessary to be sure slab moisture conditions are ready for the flooring or finish application of choice. Moisture-sensitive adhesives and applications can be just as adversely affected by a moisture level too high in the slab as they can by moisture-wicking problems due to an inadequate vapor barrier. Relative humidity testing can give an accurate picture of what the final result of a sealed concrete slab will be when it is fully equilibrated. There still may be situations where a vapor barrier is necessary over a concrete slab. Even when a slab is dry enough for the recommended use, it is still possible for moisture to migrate from the slab into porous or absorbent flooring materials like wood. The danger is that the wood will swell and crack as moisture moves in and out and that adhesives will also fail from the changing moisture levels. In these situations, a second vapor barrier is often recommended between the flooring and the concrete subfloor. There is only one chance to make the best vapor barrier choice, and obviously, that is before the slab is poured. For each concrete slab, it is imperative to understand the best vapor barrier choice based on local conditions, recommended guidelines and careful application. With the correct vapor barrier under the slab, and a knowledge of slab moisture conditions before sealing the slab, moisture conditions shouldn’t be anything to give you the vapors. Learn more about relative humidity (RH) testing here. I need advice on a product that I can paint (or apply) to a cement floor on a porch that is being converted to a sunroom. The building inspector for my community says I need to apply a vapor barrier to the cement (it has none underneath) to avoid future mold problems. I need a product that will allow me to put down tile, wood or laminate products. Thanks! I have a living room that used to be a garage. We put down laminate flooring that is now warped. We haven’t had any leaks so we are assuming it is coming up from the concrete. We put down the recommended barrier with the plastic backing before laying the floor. Now we don’t know what to put down. We had thought about the vinyl laminate flooring but we are afraid it will mold underneath. My son has severe lung disease and cannot have any mold or mildew. We can’t afford to keep trying different things. Please help!! 1) They make VERY good products, intended to be put on top of the concrete slab, that restrict the moisture movement out of the concrete to a level that will not effect most flooring. These usually aren’t inexpensive, but they are better that some alternatives like replacing flooring or replacing the concrete slab. Google “epoxy moisture mitigation”. 2) Try to find a flooring product that is more “breathable” and/or less moisture sensitive. Say 12″ X 12″ tile or a breathable carpet. Obviously, these are just a couple of suggestion. I’m not sure I understand your question. Can you please provide further clarification? Thanks. I have a concrete slab on grade with a plastic vapor barrier below. Should I put a 2nd vapor barrier above the concrete floor before putting down floating laminate floor? Thank you for the question Gary. I would refer to the laminate manufacture’s recommendations. If you are unable to find the answer in their written documentation, I would call their technical center. We thought well we’ll put on on top and throw some laminate over it, but I worry would that trap the moisture below and create a mold issue on the concrete, or would a vapor barrier and an insulation product on top stop it from sweating so much anyhow? Thanks for any time and insight you may have it is appreciated. Thanks for the comment/question. You state the floor “sweats”. This could actually be a dew point issue, instead of a concrete moisture issue. You can measure the temperature and relative humidity of the air in the cabin, then plug those numbers into this calculator: http://www.dpcalc.org/. Once you have done this, it will show you what the dew point temperature is, based on those inputs. You can then measure the surface temperature of the concrete. There should be more than a 5 degree temperature variation between actual and calculated temperature to avoid condensation (sweating). As far as installing the laminate, I would contact the manufacturer of whatever product you chose and have them give you some recommended solutions. My fear would be more about the floor being ruined than mold. Just my opinion. I live in Las Vegas where it is hot and dry. I’m wanting to lay plywood, cut and stained to look like hardwood floors over our concrete foundation. The “planks” of plywood will use the width of a penny for spacers and using a combination of adhesive and concrete nails to secure. Do I need to seal the concrete before I install? If so, what would I use? Thank you for the question. I think you may be best served contacting nwfa.org. Although this is not specific to them, they have a recommended installation process for hardwood flooring that utilizes installing plywood on the concrete, prior to the finished product. This may help you in your process. Great information. I have a client that owns older apartment communities ranging from 400-275 units each. Due to expenses of resident turnover, they decided to remove carpet/pad/tack and replace with sheet vinyl everywhere excluding Bedrooms, on the first floor for each of the properties. Would vinyl planking be a better choice due to fact it would allow for vapor permeability. There are huge failure issues with bottom up staining, i.e., mold and mildew, and they are determined to stick with vinyl. Oh and we use moisture/vapor kits, and a good sheet vinyl with a warranty against this type of problem…doesn’t seem to make a difference. Your thoughts would greatly be appreciated. I can’t say whether vinyl planking would be better, but I would at least investigate it. I would also look to see if potentially doing one of the planking systems that allows for a floating installation may not bring something positive to the table. Good luck! I’m considering building a new home and the new home builder does not install a vapor barrier underneath the slab in the basement. They have stated that a pea gravel underlay is enough to take care of any possible moisture issues. However, the build location is next to the retention area for the neighborhood and was making squishy noises when I walked on the ground today. (we’ve had copious amounts of rain over the last two weeks) They promise that once we get grass down on the ground and the ground is graded we should have no issues with moisture. Should I be concerned? There are various opinions, but this makes sense to me. We are laying a new basement floor for bedrooms and new lounge downstairs we are doing the footings 1st – would you recommend laying the plastic barrier in the footings trench also before we do the entire floor? obviously we will lay plastic for the entire floor but thought would be double protection under the footing trenches and posts to protect from moisture. Thanks for the comment/question. I would always have to defer back to your local building code on this. Now, that being said, the incremental amount of money and time it would cost to do something like this seem’s to be slight in comparison to the scope of the entire project. We currently have hardwood flooring (12mm) installed on our slab foundation. We do not know if a moisture barrier was utilized or not. We have a very long run of approximately 34 ft.
Several areas including the center of the 34 ft run have become separated and have quite a lot of play in them. Two shorter run areas have screws that we have discovered that are supposedly to keep the floor from buckling and the screws are in about 24 ft runs. We are wanting to replace the flooring. We know we will need a moisture barrier, but because of the issues feel we need to use engineered hardwood vs. natural hardwood. And is natural hardwood not an option? And is engineered hardwood any better? AND finally does it matter what we choose if we place a high performing barrier? Thanks for the questions. If this is a slab on grade vs slab below grade (which you don’t specify) then I am not sure why solid wood would not be appropriate. I would consult the National Wood Flooring Association at http://www.nwfa.org No matter what material you chose, make sure you consult the manufacturer to ensure you are addressing the “long runs” appropriately. As far as barriers, especially if you are using one to compensate for the possibility that you don’t have one below the slab, you get what you pay for, in my opinion. Always read the warranties. Building a Lake house and we are concerned that our builder forgot to place the vapor barrier down prior to the pour of the slab. The house is framed, but before we go any further would like to know how we can go about getting objective proof of having a barrier. Should we cut a hole (core) in order to verify? If we do this, is there a specific location that is best? Thanks for the question. Usually performing a core test is the best way to confirm the presence of a vapor retarder. I would consult a local geotechnical company for additional information regarding performing the service. I live in Miami, FL bought a two story 1974 townhouse last August 2015. The downstairs had 12 x 12 tile, I replaced with 30 x 30 porcelain tile in November. In May I noticed small droplets of water seeping out of the grout lines in several areas, by August 2016 there was grout discoloration in several areas as well as water seepage. The seepage continues. Could this be caused by moisture in the slab or no vapor barrier? I ruled out plumbing by a pressure test, and ruled out AC by diverting the drain. I’ve also had the roof and windows inspected. What should my next move be, don’t know who to reach out to. Have already spent $5,000 trying to solve this issue. I’m desperate for resolution. Thanks for the comment. You could be having issues with the moisture in the concrete or some type of dew point/condensation issues. Obviously, there could be other culprits, but these are the two that come to my head immediately. I would reach out to an organization like http://www.nicfi.org/. They are a network of flooring inspectors. Have one of them evaluate and give you some input. I hope this helps. Instead of going back and forth on this (I have questions), why don’t you just give me a call: Monday-Friday 7:30am-4:00pm at 800-634-9961 X235. Thanks for the question. Based on how you outlined the scenario of events, I am assuming that the new bamboo was laid shortly after the floor was patched with fresh concrete? This being said, I have a hard time believing that the concrete was dry enough for flooring installation. I would want to test in the concrete section (in situ relative humidity testing), not just the surface of the concrete. Another possibility, or it could be some combination of both, you may be dealing with is some type of condensation issue, but I would think there would be signs on the rest of the floor if that were the case. I hope this helps. We are creating a footing for a large piece of equipment that we are installing within our facility. The footing will be created by cutting a 10 foot square section out of the existing slab, digging down 5 feet to make a 10x10x5′ deep hole. Rebar framework and equipment mounting studs will be built into the hole and then the hole filled with cement. The current slab has a vapor barrier already installed. The floor is epoxy coated. My question is whether a vapor barrier should be installed under this footing, I assume so, but do we need to bring the barrier up the sides of the hole also? Thanks for the question. Being that this is a very specific, unique question, I am enrolling help from one of my industry counterparts from Stego. I just hit him up on Twitter and I am hoping he will help us out. Great questions. I will send you an email shortly with some additional information and attachments. I have a contractor that says half of my garage reads a “5” on moisture gauge and wants to lay down a ristoleum vapor barrier for $1850. Size is 670 so ft. Does that sound right to you? Prepping for polyurea coating…. Thanks for the comment. Unfortunately, a “5” means nothing in most of the finish world. These surface meters are meant to be used to identify suspect areas on a floor, not to make installation decisions. That being said, there are some coatings companies that use these devices in their installation documents. Your best bet is to have the installer provide the installation guidelines for the polyurea that will be installed. In there, they should spell out “concrete moisture” maximums. This may help you understand better. Obviously, I am not endorsing any of these, but they are products that come up in daily discussions. I will look into these….thank you Jason! Good Blessed afternoon, I have a 50’x40′ heated garage, which is also heated, insulated and drywalled (walls & ceiling), its 92° outside… On top of the 6″ concrete floor w/ wire mesh, I also installed 12″x12″ porcelain tiles. 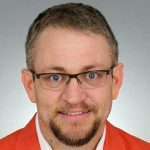 Today I was sitting in a chair, cleaning tools and putting them in the toolbox… I felt somewhat of a movement, and then my chair began to rock, I kept hearing cracking noises and the floor under me began to lift my chair up. As I looked over to the right of me, I noticed a large crown in the middle of the floor(about 16′ wide). I was really scared, I thought I was in a movie and dreaming too… I called the fire dept. They came out and said there were no earthquakes reported here… Under the concrete is 21AA crushed concrete(I did not put a vapor barrier in before concrete was installed… Every blue moon, the floor used to sweat. I popped up 1 of the tiles, it was really moist under there…can you please tell me what has happened here? What are the solutions? Will I have to tear out concrete and start from scratch & be sure to add a vapor barrier, what will be the proper steps to take before pouring the concrete? Wow, what an experience. I hope you are ok. I would call a local building professional to evaluate the situation. Don’t know which way to go! And is a vapor barrier under the new to-be-poured concrete needed? I have no idea if one was originally installed, but my guess is, for 1920s construction, probably not. Thanks! I am replacing a laminate floor with a new laminate floor (it sits on concrete). The installer says that my moisture level is too high, and doesn’t want to be responsible if it ever warps. I think he is just handing me BS and hiding behind the “moisture level” issue. I am on the 4th floor of a condo. The concrete sub-floor has no direct access with the ground. The condo has had laminate flooring in it for years. I am putting down the plastic barrier on top of the sub-floor, and then the new Pergo laminate on top of that. I have even allowed the new laminate flooring to acclimate to my house for over a month. Is there anything else I can do to help the moisture level? For example use Damp Rid for a few days? I also heard that that there is a moisture retarder/barrier that is like a primer that I can just “paint” on top of the concrete (it’s usually colored pink or purple). Does anyone know what that is? (ls that DryLok?) will it help? Well, I can say that having issues on concrete slabs, other than the ground floor, is more common than you would think. Before you can try for a solution, you need to know how big the problem is. How high are the moisture levels? Once you know this, then you can try to investigate solutions. I, personally, have never heard of Drylok, but I can tell you that there are numerous products on the market that can help with issues like you have described. If Pergo is the finished product, I would start by calling their technical hotline (after quantifying the moisture levels) and asking them for recommendations or guidance. If that fails, I would track down a flooring sundry distributor in your area and ask them about concrete moisture mitigation options. I hope this helps. our engineer require as to wrap the the precast before backfill is it necessary..?? Thanks for the question. Honestly, since you have an engineer who has intimate knowledge of your specific project, I think I would follow their advice. I really have no recommendations to add. I have a problem with my walk-in-beer cooler located in a convenience store in W. TN. The cooler is sitting on a bare slab appx 6’x16′. The slab is butted right against the outside wall of the building which is an old wooden country store with the wall opened up that has the normal reach in doors to the inside of store. The cooler was installed apparently without any vapor barrier between the slab and the outer wood of the floor structure. The top of the slab is basically even with my wood floors and the only thing in between is maybe a 2″ to 4″ gap at best and some tin or aluminum sheathing in places. My uncle had the cooler installed appx 10 to 15 years ago. The wood lasted for a good while (old saw mill type) and we replaced the rotted wood almost 4 years ago. We used treated joists (but not treated sub flooring and cheap pine hardwood tongue and groove, I hate pine). During the replacement, I attempted to reduce the moisture transference into the wood by installing some tar paper to act as a vapor barrier between the wood and the concrete slab. Apparently I may have made worse because we just had to replace the sub flooring again here within the last month. I did use treated sub-flooring this time and covered it with a vinyl plank instead of hardwood. It is still too wet on the wood near slab under the crawlspace. I removed any tar paper that I could and placed a crawl space fan under the store to try to help dry it out. I’ve also mounted a remote hygrometer on joist in crawl space near the slab. It has been there almost for a week, and it is not helping hardly any, of course we have had some high humidity since I’ve installed it. But I’m seeing like 74 degrees with 98 to 99% humidity. I do not want to replace this floor again anytime soon! I’m thinking maybe I need to insulate the cooler floor(top of slab) to possibly help so it would keep the cold from permeating down through the slab (basically raising due point), or some how or another insulate the exterior of slab that is exposed to the crawlspace to keep that moisture from wanting to stick to the cool wall of slab. The crawlspace is probably only 1.5′, so it’s kind of tough to manuever around, but it is possible. I also thought about using a spray foam on the exposed slab and between crevices and on the wood joists in that area, but everything is too wet/ damp. I’ve read some of your other posts and I’m about to google the epoxy moisture mitigation, which that may or may not be for me. Please help. Any suggestions? Thanks for the comment. You have a lot going on here and many are moving variables. I would say you are on the right track with insulating the break between the cooler slab and the wood. The crawl space fan is good, but I would also look at how much ventilation there is to the outside. I hope this helps. I am pouring a concrete slab under a pavilion. The soil is very sandy and the slab will be subject to occasional flooding both in summer and winter conditions. Should I put a vapor barrier down before pouring??? Thanks for the comment. This question is usually linked to the type of floor finish being installed, so, what type of finish are you installing on the surface of the concrete i.e. tile, carpet, paint? Is the pavilion fully enclosed with doors and windows? I have a home that I did a substantial renovation on 3 years ago. The home (19yrs old) has a concrete slab on grade with a visqueen vapor barrier under the slab. In various places around the house we installed a gypcrete leveling course (1/2″ – 5/8″) and then a glued down engineered wood. Prior to installing the wood, the wood was left at the house to acclimate and the slab was checked to ensure that the moisture level was acceptable to the manufacturer’s specifications. The adhesive was supposed to be a “2 in 1” adhesive/vapor barrier product. I am not sure what product was used. After about a year, they noticed small “pimple like” defects in the wood, in a few boards in the office. The boards were removed and the slab was found to have a high moisture content. We could find no reason (roof leak, plumbing leak, wall leak, etc.) for this. We left the boards out for over a week until the floor was dry. It was tested and found to be fine. The boards were installed again. About a year later the defects showed up again in other boards in the office. The same process was performed. Now another year later and the defects are showing up in the wood in multiple rooms in the home. The rooms are separated by a marble floor installed in the main parts of the house. I had someone come out to test for moisture and they found “pockets” of high moisture throughout the house wherever the wood floor shows the defects. I must also add that we find that most of the floor area other than where the defects are to have very low/no moisture. It is very weird. Is it possible that a temperature difference between the slab and room above the wood is causing condensation to build up under the floor? In the pieces of wood that have been removed, sometimes it appears that moisture was between the adhesive and the slab and in some cases it looks like the moisture was between the adhesive and the wood. If parts of the slab got cold enough to reach its dew point, I suppose condensation could form, but to have it be spotty is indeed strange. What type of moisture testing was done on the slab, and then on the gypcrete? Is the slab poured on a true vapor barrier? I have a basement concrete slab on grade that is 30 years old. I would like to install 12×24 tile on it but am wondering if I need to apply a vapor barrier or sealer of sorts prior to install? Or would a poly modified medium bed thinset be sufficient? Also is 1/2 x 1/2 x 1/2 trowel best for this size of tile? If the basement slab was poured directly on the ground, rather on a true vapor barrier, then the ground underneath the slab will always be ‘in play’, and the moisture in the ground below will always want to move upward to the slab’s surface. 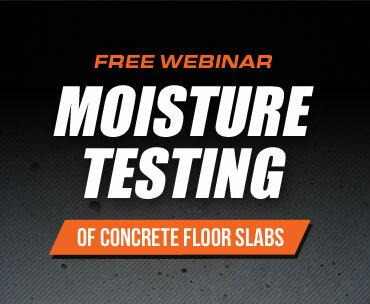 There are industry-accepted test methods for determining the moisture condition of the slab, and I suggest you look into this before doing anything. At this point, the most-accepted method commercially is the American Society for Testing and Materials (ASTM) F2170 method. Next, I am not an expert on modified or unmodified thin-sets, but I would think the thin-set manufacturers would have specifications regarding any (if any) vapor barrier characteristics. I rather suspect that they would have specifications regarding the acceptable levels of slab moisture before you could actually use their products for an application. Hello. I am getting a new home built and the contractor put in a walk in conditioned crawlspace. They put down a plastic Barrier which I discovered the other day had a puncture. The builder says they’re going to put a patch over the puncture and lay another sheet of vapor barrier. I’m just wondering because they are saying it can be used as storage the open space of ways to reinforce the barrier to make sure that the plastic is not punctured. I’m just concerned that if something is stored in there that it could cause problems if the barrier is punctured. Do you have any suggestions on ways to reinforce the vapor barrier to make sure that it’s not punctured and OK for me to use as a storage space? Maybe sometime down the line when I can afford I’ll get a concrete slab but I’m not sure how mandatory that would be. I’m just more concerned with prevention of mold growth and moisture. Thanks for the email. Based on what you have outlined, I would say getting the thickest (within reason) vapor retarder available is going to be your best bet. Keep in mind that there are varying thicknesses available and with the varying thicknesses you obviously get better performance. Take a look at this website https://www.stegoindustries.com/. They aren’t the only game out there, but it is a place to start. We have a home in Houston that has been flooded with the hurricane, and all flooring other than the travertine tile has been removed. In a small 5 x 5 toilet room in the master bath, we took up clay tile, In order to tile the whole bathroom Including this separate toilet room with matching tile instead of re-installing carpet. We found that under the clay tile, It wasn’t concrete slab. It seems to be more gravel and sand. Initially we thought we could just pour concrete in the small area but in reading your information we are now worried about moisture and vapor barriers. What do you suggest? Thanks for the question. It sounds like you may have a traditional mortar bed installation here. I would check here to investigate further: https://www.tcnatile.com/faqs/71-thick-setthick-bed.html. I hope this helps. We have a split home with typical family room downstairs that sits on concrete. We installed laminate flooring about 6 years ago and now have a terrible odor. I remember when the floor was installed there was a foam underlayment but I to not remember it having any plastics on the bottom side. I did notice that this past summer was extremely hot and humid and there was wet areas on the floor. Could this odor be caused from the moisture coming from the cement and trapped in the foam underlayment? Thanks for the comment. This could be a distinct possibility. I am not sure about the moisture being trapped in the foam, but there is a distinct possibility that the moisture could be because of some air quality issues. It might be worth investigating yourself or having someone out to evaluate. Thanks for the comments. You may want to start with a geotechnical engineer. They should be able to verify the existence of a vapor retarder and potentially help identify the source of the moisture. Good Luck. We have a partial concrete slab that we are planning to subfloor over to make a level floor throughout the house. The subfloor will consist of 2 X 6 joists about 1 inch off the slab. What type of moisture barrier would you recommend? The house was built in the 70’s so I’m not sure if there was any kind of moisture barrier under the slab. Thanks for the comments. I would contact https://www.stegoindustries.com/ And see if they have a viable option for you. Good luck. I live in Atlanta, Georgia, and I have a house which is 33 years old with a unfinished daylight basement. The slab has plastic sheeting underneath it already. The slab is in fine condition. I would like to put down an impermeable class 1 vapor barrier on top of the slab before I put down any flooring. What risks are there to do so? My two main thoughts are potential mold growing under the vapor barrier, and potential slab degradation. Is the mold really an issue if it is not disturbed? If slab degradation, then in what form? Thanks for the comments. I would say you are right on track with the thought of mold growth. As far as I am concerned, mold is an issue no matter what. I don’t see much issue with slab degradation. I am guessing that you are trying to ensure there are no moisture related issues with the flooring you are going to install? If this is the case, research some of the various moisture mitigation products available that are topically applied to the slab. Just ensure the product you choose warrants against hydrostatic pressure. For a basement floor (9′ below grade concrete slab – Ottawa, Canada location), are there any bad effects that could occur by putting a 6mil vapour barrier on top of the concrete slab, that a subfloor would be installed on top of? The slab is in excellent condition and is 16 years since curing. Should I be concerned about humidity build up between the vapour barrier and the concrete? Because the concrete slab is floating – that’s how basements are built in Canada – if moisture was to penetrate between the slab and vapour barrier, would that compromise the concrete slab over time? It has not happened in the last 16 years but Mr. Murphy could show up at any time. So, am wondering what would the effect be if it were to happen? Thanks for the comment. My only concern with laying a vapor retarder of that type, on the slab, would be the potential buildup of moisture between the slab and the retarder. It makes me wonder if that may potentially be a perfect environment for mold growth. I have no way to answer that for sure. Good luck. Thanks Jason! Your answer helps. Jason, Over the Christmas holiday we had a water heater in the 2nd story attic leak causing flooding throughout our first floor which has continuous solid hardwood floors throughout. Our ins. claim is taking care of everything related to reconstruction phase, I think. We have had several hardwood floor contractors out to bid putting in new floors. The house is on a concrete slab. The original hardwood floors 2 1/4″ White Oak were installed on top of 5/8″ plywood which sits on 15# felt as a vapor barrier. A couple of the hardwood floor contractors recommended that a concrete sealer be installed prior to putting down new felt and plywood. What is your thoughts on this? Is it necessary or would you just make sure the slab is completely dry before going back with the felt, plywood and new hardwoods? If you think the concrete sealer is warranted, is there a particular product you recommend? Thanks for the comment. Especially due to this being a flooding situation, I think the “sealer” is warranted. Sometimes the drying out process is done well enough by accepted insurance practices, but not always food enough to accepted flooring practices. I think this may help ensure a successful installation. Unfortunately, I don’t get into recommending a specific product, so I always recommend finding a knowledgeable installer that you feel comfortable with and trust. Once you have done this, you need to rely on their expertise to help guide the decision. Good luck. Hey Jason o have new house build on 2017 and around the 2 sides of the house (this meets with exterior) we got some porcelain floors and just notice the tiles haves some moisture and water drops in some areas ,any idea what is the problem and solution ? I need you help or is something I need to do around the Concret slab?? Help me!???? Thanks for the comment. This could be something as simple as varying temperatures and condensation forming on the tile. Potentially, the area around the perimeter of the floor may not be as well insulated as the rest of the floor and so that variation may be part of the issue. If the problem persists or is bad enough, you may want to reach out to https://www.nicfi.org/ and see if there is a qualified tile inspector in your area. Good luck. Thanks you so much !???? Thanks for the question. Usually, if you aren’t looking at putting a finish on the concrete, you have no issues with the moisture in the concrete. Depending on the breathability of the two rugs you have down on the slab, you may want to keep an eye underneath them to ensure you aren’t trapping any potential moisture. Enjoy the party barn. Without slipping. Can you help me please? Thank you! Thanks for the comment. If I had to guess, I would say this has something to do with dewpoint and the surface temperature of the concrete. If it is environmental and there isn’t something causing it i.e dryer vent not venting correctly to the outside, etc.) then “correcting” in may be difficult. One option may be to have a coating installed that has some type of slip resistant surface. Another option may be to have someone put a minor surface profile on the slab so if there is surface moisture present, the concrete has some traction, not just completely smooth. I hope this help. HiJason, I have a concrete slap screened in porch that I have painted several times. Paint just seems to peel and pop up. I am getting ready to strip it for about the fourth time. The paint store said to put on this armor 2 part epoxy paint and it should resist the moisture. I would appreciate any tips from you. Thanks. Thanks for the comment. From what I hear, epoxy paint does tend to be a bit more durable in situations like this. If this was my project and I had done it multiple times without success, I would do a small test area first. Pick an area that seems to have the worst issues, prep the area thoroughly, and apply the epoxy paint. Doing this lets you see what to expect if you did the whole job. Good Luck. We are experiencing moisture on our concrete slab. Our luxury vinyl floor was laid directly on top of it. Now we are considering putting some type of barrier between the two, and are toggling between the mvb moisture mitigation product and a moisture barrier underlayment beneath the vinyl. Which would be better? 1. Have you done moisture testing? What were the values? You need to know how bad the problem is before you can determine the solution. 2. Is this existing construction? If yes, does the slab have an intact vapor retarder? If no, then you need to utilize a mitigation product that will warrant up to 100% RH and will do so even if an intact retarder isn’t present. Sometimes this is in the fine print, so it’s always best to ask specifically. 3. Is this new construction? If yes, does it have an intact vapor retarder? If yes, then what were the moisture testing results? Based on these results, shop the product that handles your moisture testing results. I am looking to build a camp on a slab. No frost wall is required per zoning. Is a vapor barrier below the slab sufficient or would you recommend also treating the slab w/a liquid carrier or lay one down before applying flooring? Also, do you have any recommendations on if you’d suggest laying down a subfloor before installing the flooring? Thanks. Thanks for the comment/question. I would always recommend a vapor retarder directly beneath the slab if you are going to install a low permeable finish on the surface. As far as any topical treatment, I would need to moisture test to determine that. Good luck on the project. I just had a new concrete slab poured in my basement. We excavated the old floor and dirt put in a layer of gravel, French drains and a sump pump and then covered with a 14mm vapor barrier. However I noticed when the vapor barrier was laid down there were some gaps of a couple inches of exposed gravel on a couple of the sides and probably the overlap and sealing was not done very well, so I’m concerned that there is some exposed gravel right beneath the new cement pad in several places. I am sure it would be better if the vapor barrier had been tightly installed and sealed well with good overlaps, but should I still be in better shape or is the floor going to be vulnerable to wicking dampness because the vapor barrier was not installed thoroughly? I noticed what the installer was doing and I questioned him but did not push through asking him to fix the spreading of the vapor barrier before pouting the cement which I regret. He said with all the gravel and the French drains along the edges it was not necessary to have the membrane right up to the edges. Thanks for the question. With the French drains, this may not be as critical, but you will usually see uniform coverage in a vapor retarder. Very nice that they used a thicker membrane though, you don’t see that as often in residential applications. Good luck. 1. If the thickened slabs are poured prior to the top 4″ slab, can the vapor barrier be placed over the thickened areas in lieu of going under the thickened footings? Please advise. Thanks for the question. I have heard of people doing this, but I would always check local building codes to confirm acceptability. HI I live in brooklyn NY and i have a crawl space of earth (dirt) underneath my den. i recently started a renovation and i decided i wanted to pour cement over the whole crawl space. i put 6 inches of cement however i did not put any tarp or any vapor barrier underneath the slab . Now i started reading that this was important to do. unfortunately i did not . now i am trying to figure out what can i do to have this crawl space safe and not humid I don’t have any access to any drains there so i can’t put a dehumidifier there . should i cover the cement ground using poly tarp ? would that protect the wood beams from mold and mildew? any suggestions would be greatly appreciated. Thanks for the question. Based on your situation, it may be best to ensure you have proper ventilation and airflow in the air space. You may want to also look at power vents that may assist with increased airflow when preset levels of relative humidity and/or temperature levels are hit. Good luck. Thanks for the question. There are debates about this, with varying national, regional, state, and local regulations. The American Concrete Institute states that a vapor retarder should be placed directly under a concrete slab on grade if now, or in the future, a low permeable membrane (floor finish) will be installed upon the slab. Personally, I would follow their guidance. I’m curious if I need to put visqueen and support wire down before I pour a 10 x 12 concrete floor on the west coast of Florida? It will have a laminate floor when done. Thanks for the questions. Different areas have different building requirements. I would ALWAYS consult your local building code for questions of this nature. Good luck. i have a workshop in an old barn with a cement floor pre 1030 vintage. the floor is not flat or smooth and it has channels in it. no cracks in it tho. i going to put a new slab over it. i know correct thing to do is to replace the pad but i cant. the barn is on the pad. my issue is moisture. can i put the moisture barrier between the slabs? Thanks for the question. I’m not sure if you are putting the “slab” over the top for cosmetics or something structural. I will assume cosmetic based on how you described it. There are many products on the market that would allow you to apply a moisture remediation product on the original concrete and then you a self-leveling product for smoothing. Some companies to look at: Ardex, Mapei, Koster, and Uzin just to name a few. Good luck. thank you for your response. the slab is mainly structural. there are 2 20″ wide and 1 4′ wide 8″ deep food trough that are in the floor. this is why i’m doing the slab so i have one solid and flat floor. My dad and husband just poured two footings in our basement and forgot to put down the 6mil poly specified by the engineer before pouring the concrete. How much difference does the poly make in the strength of the concrete? Is there a chance that the footings could fail at some point in the future? Thanks for the question. I have never heard of anyone utilizing poly to increase the strength of the concrete. Typically, the poly directly under the slab is to make a separation between the concrete and the soil to keep moisture from infiltrating the concrete after a flooring finish is installed. That being said, I would consult with the engineer that specified the poly for guidance. Hi, I live in Houston and have an outdoor patio that I had stained and sealed. I have had efflorescence issues really bad with white dots coming up all over the patio. I have had it “fixed” several times and each time it all comes back. I have had people suggest diamond grading it and putting stamped overlay down and then I have had people say it will just come back up through that too because there no vapor barrier under my patio. I’ve then had people suggest laying tile on it after it’s been diamond graded but that it could still come up through that but not be as bad because it will only come up through the grout. But then people have said if I have that much moisture, the tiles might not stick. I’m at a loss and have waisted so much money on each “fix.” What is the best way to deal with this?